A former CIA director and retired general appeared recently on “The David Rubenstein Show: Peer to Peer Conversations” to talk about his career, leadership, current foreign relations and his future plans. 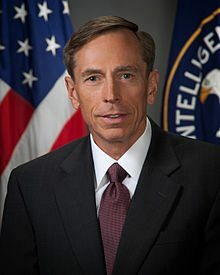 After graduating from West Point in 1974, David Petraeus was commissioned an infantry officer and rose through the ranks and became commander of the U.S. forces in Iraq. While forces successfully topped the regime rather quickly, Petraeus said he had a nagging sense things were not going accordingly. Firing the entire Saddam Hussein army without telling it its future was a huge mistake, and it led to tens of thousands opposing U.S. forces in Iraq rather than supporting their efforts, he said. In 2008, Petraeus was appointed to Central Command, where he advocated that countering terrorist threats in the CENTCOM region demanded whole-of-government approaches. He then became commander of U.S. forces in Afghanistan when nominated by President Barack Obama in 2010. Right away, Petraeus says he knew Afghanistan could not be flipped like Iraq. In Afghanistan, the mission was to halt growth of the Taliban, reverse it in some key areas, accelerate the development of the Afghan security forces and select institutions to ensure Afghanistan never again became a sanctuary for transnational extremists. Upon his return from Afghanistan, Petraeus retired from his 37-year military career and became the CIA director in 2011. He spoke with admiration about the work and dedication of his CIA colleagues. Since his 2012 resignation, the former spy agency head has been involved in the private-equity industry and various academia. He says he will never run for president, but doesn’t completely rule out returning to a position in another administration. Related: David Petraeus Discusses Leadership, Current Threats to U.S.